November 28, 2018 / Modified nov 28, 2018 1:37 p.m. 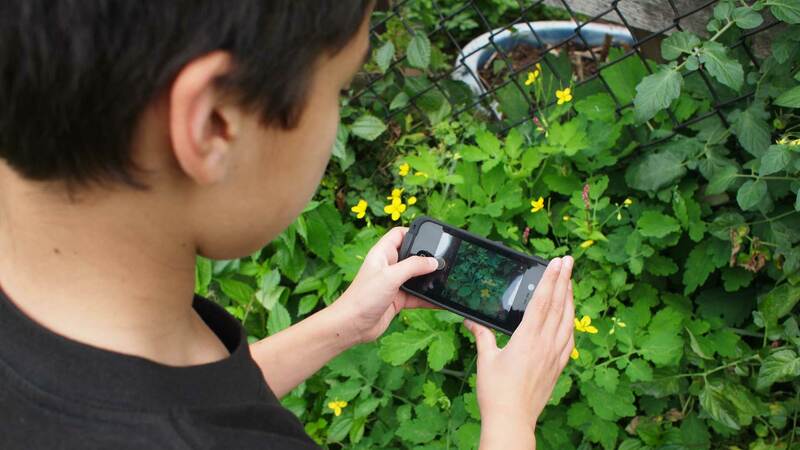 PLUM LANDING form PBS KIDS is a cross-platform, digital adventure designed to engage 6- to 9-year olds in environmental science by using animated and live-action videos, hands-on activities, web games and an interactive mobile app for iPhone, iPad and iPod touch: Plum’s Photo Hunt. All of the PLUM LANDING resources, including standards-based tools for educators, are offered for free. Produced by WGBH, PLUM LANDING follows the adventures of Plum, a video game designer from the desolate Planet Blorb, who longs to experience nature. To realize this goal, Plum commandeers a space ship, zooms down to earth, befriends five eager kids—Clem, Oliver, Gabi, Brad, and Cooper—and launches them on missions as diverse as “find a lake in the desert!” and “search for a cow that lives under water!” Zeroing in on four ecosystems—the Australian desert, the mangroves of Belize, the Canadian Rockies and the jungles of Borneo—Plum discovers many fascinating, puzzling and profound things about Earth and uses what she learns to create explorer games for 6- to 9-year olds. On the PLUM LANDING website, kids can play these games and explore each of these exotic ecosystems. Plum also encourages kids to investigate their own worlds with Plum’s Photo Hunt App. Plum’s Photo Hunt is available for free from the App Store on iPhone, iPad and iPod touch.